Could this be the prettiest place on earth? I suspect other locations could beat it in a ‘spectacular’ sense, but in terms of the prettiest? I really think it might. It’s the combination of majestic beech trees, all fresh, almost transparent, new leaves with sunlight bouncing between their graceful, layered branches; and the dramatic, yet soft, never-ending blue blanket of blooms. Perfectly complementary shades of blues and greens in the intricately patterned light. As you wander amongst them, you hear nothing but the odd rustle of leaves as an unidentified creature scurries past, your footsteps soft on the springy, composting autumnal leaves. It’s a light so special, you feel you have entered a whole new world, quite unlike anywhere else you know. The day to day stresses of life decompose, just as the leaves beneath your feet, and float away, high above, into the canopy. It is so utterly captivating, you can think of nothing beyond the forest and you start to see so much more than just bluebells and trees. You notice the fallen timber; full of insects busily scuttling about their business. You notice nodules of sedimentary flint that have surfaced from underlying bedrock, next to intricately textured, rich, green moss. Gradually, you come to appreciate just how many plant species make their home in this forest, catching sight of wood sorrel, wood anemones, Arum, chickweed and celandine flowers. And you start to see patterns of where each is located. Some clustered around fallen trees, thriving in the enhanced light, some seeking safety with their roots buried deep into the timber itself. You hear the sound of sheep and are instinctively led towards an adjacent field, noticing oak trees at the perimeter, and new beech saplings in an open spot, ready to provide seamless succession for older generations. It is beautiful because it is so natural. For all but the bluebell season the forest is untouched; it simply goes about its thing with no interference from mankind, achieving its natural balance. 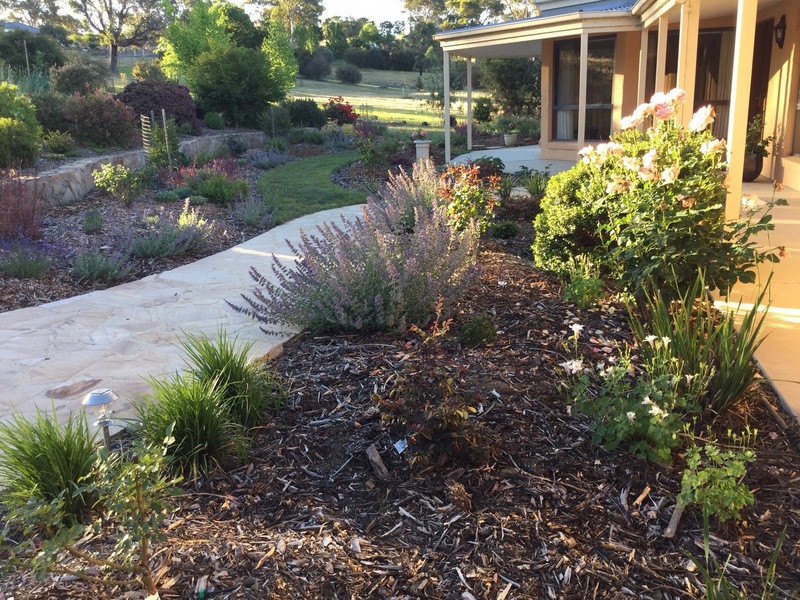 There is no need for watering or fertilising, pruning or mulching; all is taken care of by the natural environment. This is a perfectly-optimised, perfectly-thriving, perfectly-everything eco-system. Each and every species adapted for its precise niche in life. We can’t help but be in awe of nature. That unaided by ‘superior’ homo sapiens, such beauty can just happen. It reminds us of the miracle of life and puts the world into perspective. It’s funny how feeling so small and insignificant makes us feel so good. As if we are liberated children once more, with not a care or a worry in the world. Rather than making us feel empty it makes our daily struggles seem empty. Empty and not worth worrying about. It makes us crave the joy of simplicity, of no mobile phones or cars or televisions, as per the life of the inhabitants of these forests. I spent an hour in the bluebells with Mum and Dad this week. We then had a quick bite to eat and I was back on the train to London, almost as if it had never happened. It was one of the most beautiful, surreal, precious mornings I’ve ever had. Great, does that mean you’ll come back and build my gardens again?! I have such a sweet vision of you picking flowers for your mum. Ahh. Don’t get too homesick though; remember you have spectacular, we have pretty. It’s all fair! I actually sighed out loud…….so serene and beautiful. What a lovely morning you must of had feeling like the world had stopped for a moment. I knew you’d love it, Louise. Just your thing! And yes, I do sighing out loud at gardens, too! Ashridge looks heavenly. Well done for spotting the white form, they do stand out don’t they? I spied a faded pink singleton last week, I was so thrilled I almost did a little dance. Silly, eh? Very pretty scenes indeed, and a real celebration of Spring and the natural environment. Nature, left to it’s own devices, can certainly produce breathtaking landscapes. A very uplifting and lovely post Janna. Nevertheless it gives great pleasure to this Homo sapiens to attempt to create pretty pictures within my little patch of nature. Thank you, Suzanne. Aren’t we lucky to have so many different forms of nature across the world to enjoy? Conservation IS important! 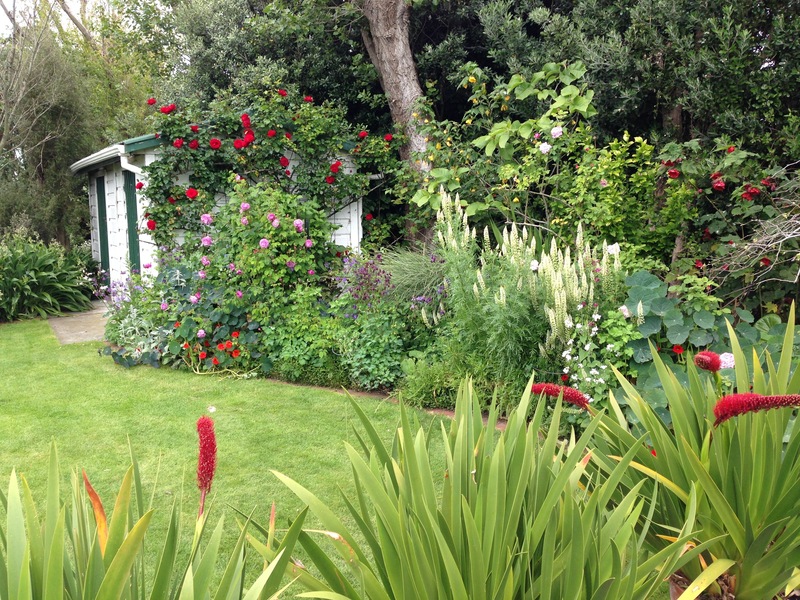 But, as you say, it’s also wonderful to be able to apply our love for creativity to our gardens too. Both bring us gardeners so much pleasure; we are very fortunate. Beautiful Janna – Can’t say more than that! I couldn’t resist planting a few Spanish blue bells under a Linden in our garden (even though they are meant to be weedy here in Australia. THe English blue bells or so much lovelier though. You mum and dad must be so happy to have you there again. Thanks, Adriana. There’s really no debate as to whether this is beautiful or not, or to someone’s taste, is there? My Dad is pretty selective about the ‘gardens’ he will go to (I think this in number two, ever, with me!) yet he’s happy to return here. Just magical. Absolutely fabulous. I never tire of seeing bluebells. They seem later this year, but maybe more of them and an even stronger blue, so definitely worth the wait. I’m glad you never tire of them because this is probably the one hundredth set of bluebell photos you have seen this year! Glad it’s been a good year though as I’ve missed them for the last eight. I do love them. One of my favourite spots too, Janna. I went to school not far from there and visited regularly as a teenager and on a biology field trip too. The ancient pollarded beech are stunning – did you see them? Oh, how funny. I went to school in Edlesborough. Completely missed the pollarded beech, but they sound interesting. Where abouts are they? St George’s School in Harpenden for me! There are old pollards throughout Ashridge I think but perhaps the most famous are at Frithsden. If you Google pollarded beech Ashridge there are lots of photos. A Harry Potter one too (apparently). Oo, gosh, they are quite weird and wonderful, those trees (and very Harry Potter). If I’d driven past I probably wouldn’t have guessed they were beech. Will keep my eyes peeled next time I’m up that way. And Harpenden….very nice! You seem to have a good ‘nose’ for beautiful parts of England. I love this scene – Thanks so much for sharing these photos Janna! Thanks, Sally, glad you enjoyed them. Hope to get you over here to see them for yourself one day!